If the title, Witches, wasn’t straightforward enough, certainly I hope you’ve enough tools to understand what the novel’s about. Indulge me though for a moment, won’t you please reader? And let me tell you what I’ve got for you anyway. 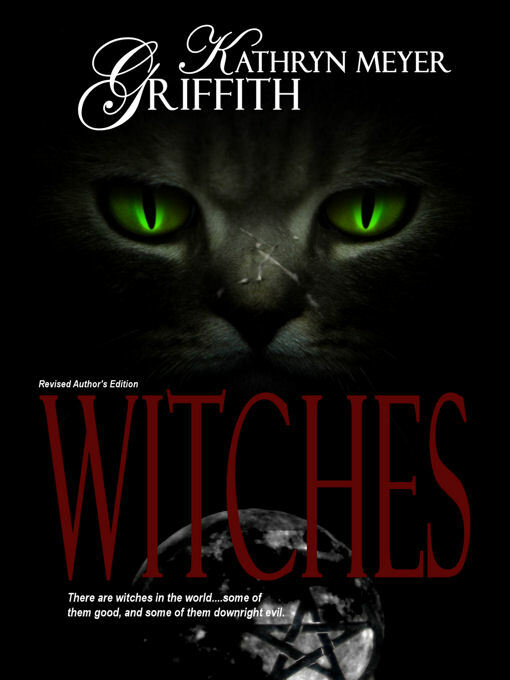 Witches was originally published in 1993; the edition reviewed is the author revised copy written by Kathryn Meyer Griffith. It’s a paranormal tale about the fascinating world of witches – a world that bears a striking resemblance to our own. In this world, witches aren’t the cackling and toiling sort. On the contrary, they laugh much like me and you. They still have their familiars, their black cats and such, but they drink coffee and prefer cars over brooms. Amanda Givens is one of these witches – a white witch more specifically, who in the beginning is dealing with the loss of her beloved husband. His death drives her to depression and to seclusion in the woods — and the pain and suffering compel her to bring him back. Unfortunately, she can also see demons. So Amanda does the right thing (and she had help of course), she cancels the spell, writes it off – moves on. But in her town shortly after, grisly murders start to take place. It seems something’s got out – and Amanda’s the one to blame. Amanda addresses her foible, head on, guns blazing. And she succeeds – just to be whisked away in time. It seems her very action was planned by a shrewd and conniving force. And she must rely on the love of her sisters to return her in one piece. Witches is a charming tale, paranormal in nature – though imbued with a strong element of fantasy. It begins with loss and grief and transforms to a dire struggle to combat the blackened evil that’s hovered over Canaan, Connecticut. To the reader who’s experienced loss – and the struggles that come with it, this tale paints a curious and enticing portrait. Drawn on the canvas are charming characters navigating the deepest sorrows of their lives – and in the background are demons and the very caverns of hell. However, even with its admirable ambitions, the story seems to weary itself with its unnecessary “weight”. It trudges along both a straightforward and predetermined path, and bogs itself down with poor flow, awkward exposition, and redundancy. Yes there’s tension, but it feels rather contrived – the twists, at the liberty of the protagonist. The final product is a story that tries very hard to touch you (to put a spell on you if you will) – but the story telling is too artificial to stimulate the palate of more hardened readers. Griffith takes witches and makes them personable and relatable (and without that dreaded eye of newt); they play poker, create pottery and fall in love. They’re just as human as they are witch and this makes them alluring at first. In the end though, we have only the classic (and one dimensional) struggle between good and evil – a struggle unfortunately, with a woefully foreseeable victor and conclusion. For the hard-core horror reader, I suggest conjuring up something else. I can appreciate your novel has done well — and certainly I’ll be the first to admit it. I actually had to check myself (quite a few times) during this review to be sure I wasn’t unfair in my judgement. The way you’ve described those who like or dislike the story is interesting — as I think I’m an exception — someone who falls (smack) in the middle. I thank you for your work, and your contribution to literature. Being an author is not easy — being a prolific one, like yourself, even harder. I don’t consider myself a prolific writer…I look at so many other authors and they have written far more than I have, but I am proud of my 22 novels, 2 novellas and 14 short stories. I wrote them as I balanced my life. The balancing act isn’t easy at times. Life so often gets in the way. If you are, as you say, in the ‘middle’ and like true horror better…you would probably enjoy my THE LAST VAMPIRE, my A TIME OF DEMONS or my short story, Ghost Brother, much better than Witches, which, as I said, is more of a woman’s novel; a paranormal romance.